28.08.2015. Birds Nest Stadium, Beijing, China. 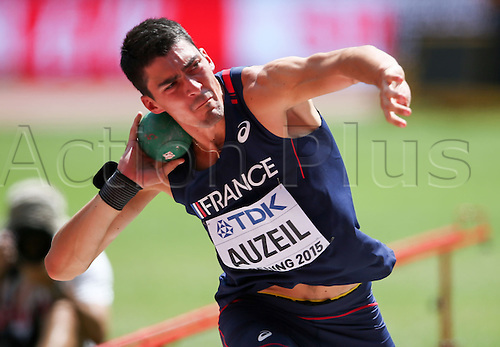 Bastian Auzeil of France competes at the Shot Put Section of the Decathlon at the 15th International Association of Athletics Federations (IAAF) Athletics World Championships in Beijing, China, 28 August 2015.